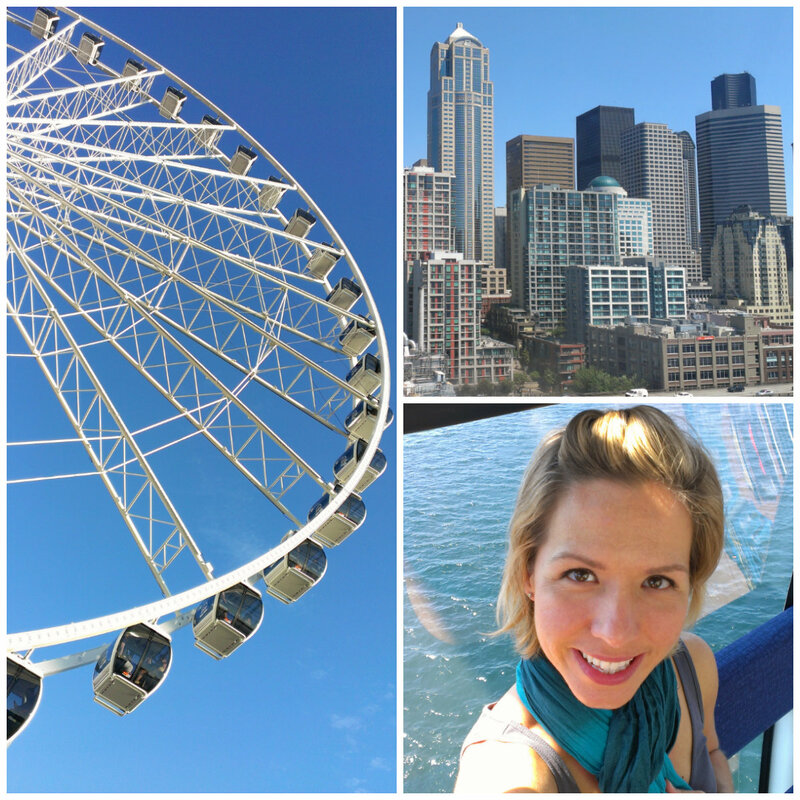 The day after hiking on Mount Rainier we headed into downtown Seattle to explore more of this city. After we had slept in, that is. Ahhh…. During our time here we stayed in the Green Lake area of Seattle, which is outside the city center, but very pleasant and an easy drive or bus ride into the city. More info on our accommodations at the end of this post. We had to give up our rental car today so we drove it to Hertz in the city and said good-bye. Next on the agenda was a visit to Pike Place Market. This was Teresa’s first visit here so we spent some time looking through shops, checking out the vendors selling fresh produce, flowers, and seafood, and watching the famous “fish throwers” toss around their slimy catches. I just LOVE places like this where you can buy such fresh, locally grown/caught stuff! 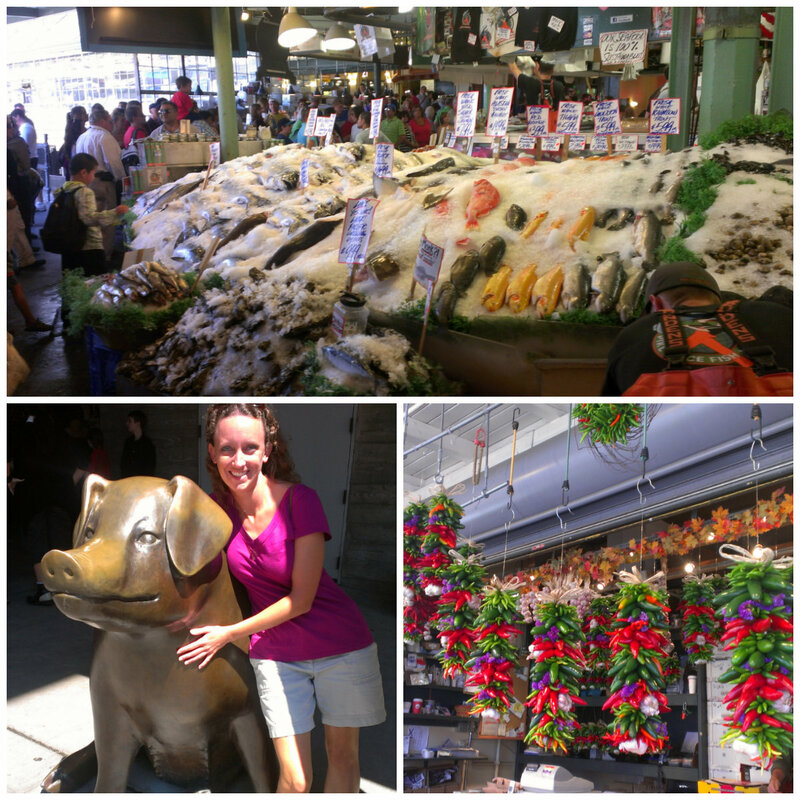 If I lived in Seattle I would be at this market ALL the time!! 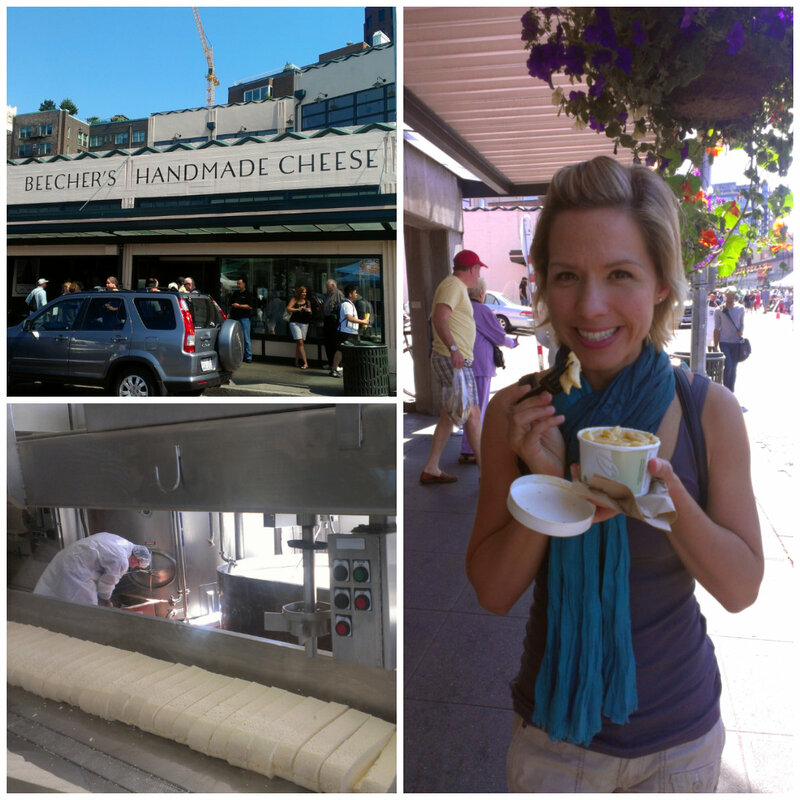 One thing that was on my “to-do” list while I was here, was to visit Beecher’s Cheese Shop and try some of their “World’s Best” Mac & Cheese. So that’s where we headed next! We each bought a small bowl and I must say, this really is some of the best mac & cheese I’ve ever had! Yum!! I’m sure it has something to do with the fact that they make their cheese fresh, right there in the shop. If you’re ever in the Seattle area, you must try some! Leaving Pike Place Market we headed toward the Seattle Great Wheel. We had debated about whether we were going to go up it or not but once we got there we decided to go for it! We were in a car with a local couple and their granddaughter and the views from the top were really beautiful. We thoroughly enjoyed our trip. 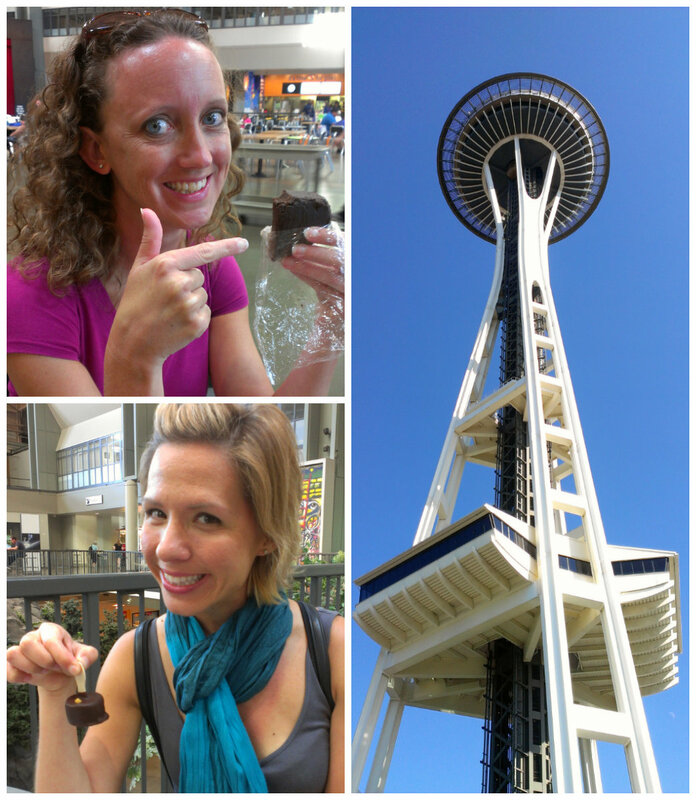 We didn’t go up the Space Needle or visit any of the museums or exhibits in this area but just walked around for a bit. We had heard there was a park in the Queen Anne part of town that provided some great views of the city so we decided to walk there. What we didn’t realize was that we were embarking on our second hike in two days. Think San Francisco, and steep, steep streets. Whew!! This time we really did work up an appetite! 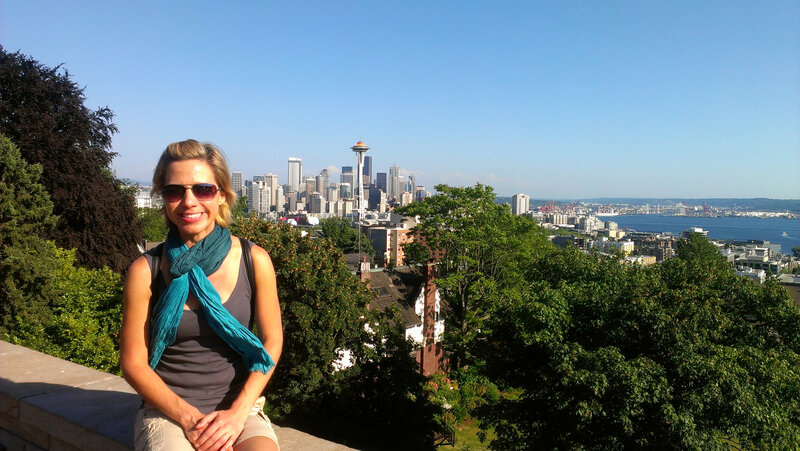 We finally made it to the Kerry Park overlook and there really were some nice views of the city skyline and the sea. Next up was dinner. We walked back to an area that had a lot of restaurants and landed at Peso’s Kitchen for some yummy Mexican food. 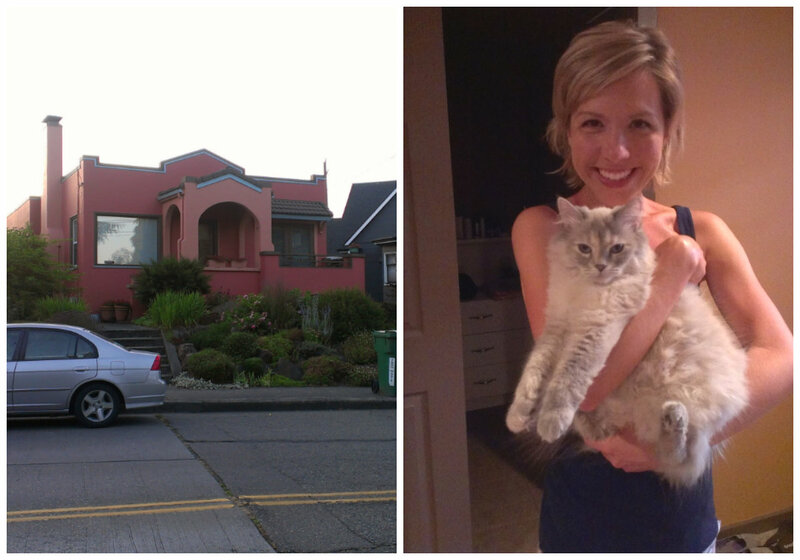 As we were quite a ways from our accommodations, we decided to take the bus back to Green Lake. It was a lovely day in a really great city! We were apparently visiting Seattle during the busiest week of the year. We had such a hard time finding accommodations for the time we were going to be there! A few days before Teresa joined me in the city we still hadn’t nailed down a place to stay. I was pretty convinced that we were going to be sleeping on a park bench somewhere. Well thankfully we didn’t have to go the park bench route because I finally found a place via Airbnb. If you’ve never heard of this website you should check them out! This is a place where people can list homes, apartments, rooms, or even just beds, they have available for rent. These aren’t bed and breakfasts – just people who have some extra space they wouldn’t mind sharing with someone else. And the prices here can be crazy reasonable! We found a private room that was available in the Green Lake area (just across the street from the actual lake) that ended up being perfect for us. The woman who owned the home and also lived there rents out her finished basement which consisted of a bedroom, bathroom, large living area, our own private entrance through the garage, and Shelby the cat. It was a bit out of the city but it worked fine for us. There were quite a few restaurants around the area (including BluWater Bistro where we had dinner our first night there – huge, fantastic salads! ), and the lake has a lovely, paved jogging path that runs around it. 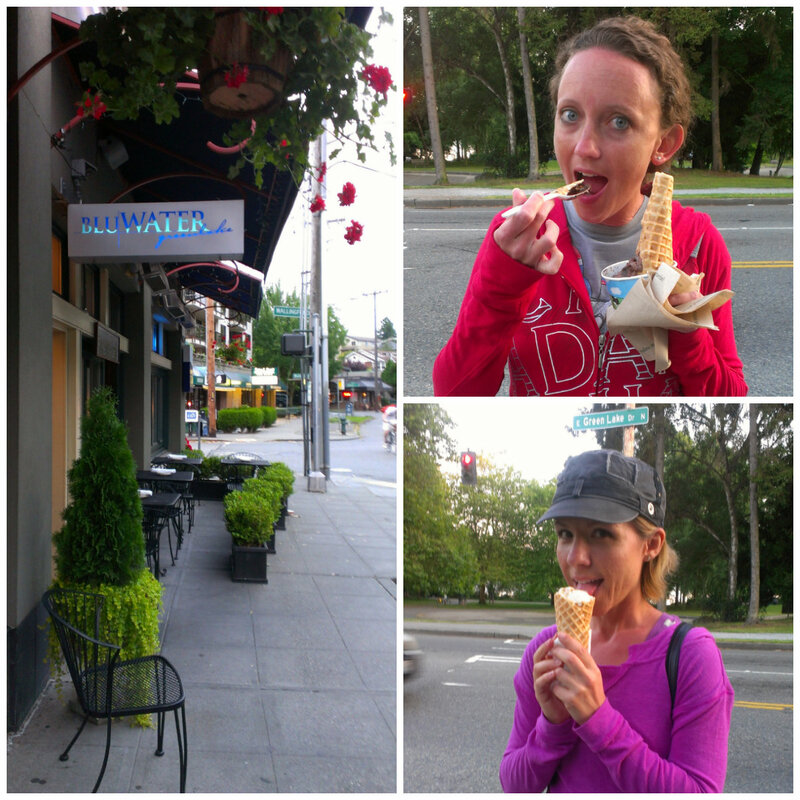 We picked up ice cream a couple of times at Ben & Jerry’s and would eat it while strolling around the lake. Since we had to return our car fairly early into our time in Seattle, we relied on bus transportation to get us into and out of the city. I probably wouldn’t want to drive and park a car in the city center anyway. And it’s a very walkable place – once you’re in the center there’s really no need for a car.